﻿ Genetic Hearing Loss: Is It Hereditary? Hearing loss comes in many forms, which means hearing loss can have several causes. Infant deafness, for example, is more often than not caused by a genetic disorder or mutation. But hearing loss that materializes later in life may also be attributed to a person’s genes. Genetic hearing loss is more common than most people realize. Continue reading to learn more about genetic hearing loss. It's estimated that age-related hearing loss are genetic anywhere from 35-55% of the time. Susceptibility to age-related hearing loss can run in the family, but also has numerous external factors over a person’s lifetime. While some hearing loss can be hereditary, it can also be caused by other factors. Let's take a closer look at different types of hereditary or genetic hearing loss. Congenital hearing defects affects roughly three in every thousand babies. Of these, over 60% of hearing loss cases are attributed to genetic defects. Some hearing loss that appears later in life can also be attributed to defects in inherited genes that didn’t materialize until later. For example, the structure of a person’s inner ear may be functional early in life, but as the person grows, the structure may cause its own collapse, leading to partial or total hearing loss. Genetics in general are a complex subject, and accordingly, many different things can go wrong to cause hearing loss. Autosomal dominant disorders, for example, need only appear in one parent’s genes to appear in the child. So if a parent carries genes related to hearing loss that are dominant, the likeliness of those appearing in the child are far greater, almost a certainty in most cases. Autosomal recessive inheritance of hearing related disorders, on the other hand, require both parents to pass on the gene. It’s like blue eyes; two brown-eyed parents may produce a blue-eyed child, but they must both carry the recessive blue-eye gene and beat the odds to make those blue eyes. So some disorders may be present in parents but not pass on to the child. Mitochondrial disorders are inherited from the mother only — since male sperm do not carry mitochondria. So a father may carry a disorder that does not show up in the child if the disorder is based in the mitochondria of the cells. What Can Be Done About Hereditary Hearing Loss? 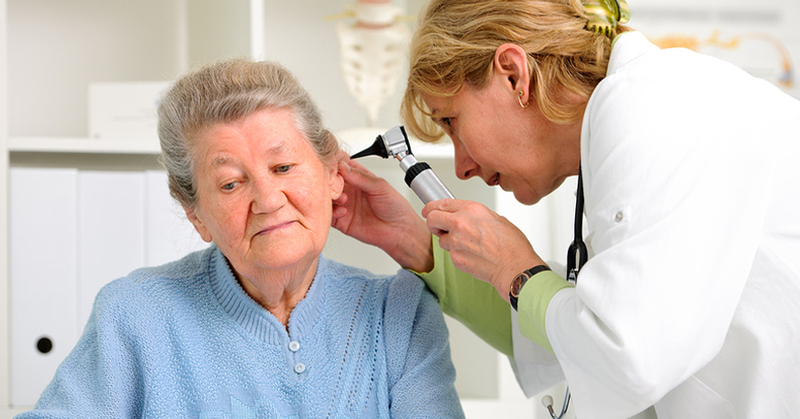 As with most cases of hearing loss that are not temporary, hearing loss is treatable but not curable. When the cause of hearing deficiency or deafness is a genetic disorder or mutation, that condition can become even more true. However, altering DNA to cure a hearing problem is not a possibility at this point in time. Even so, if you suffer from a hereditary hearing loss, there are multiple ways the experts at North Shore Hearing P.C. can help you hear and experience your world more clearly. The best defense against hearing loss is early detection and to treat the specifics. If it’s an inner ear problem, treating the inner ear may serve as a viable solution. If it’s an eardrum problem, treating the drum may prove to deliver the desired results. However, simply overcompensating with increased volume is not a good way to treat hearing loss. Although no genetic or hereditary treatments are available for hereditary hearing loss, the experts at North Shore Hearing P.C. can help create a customized solution for you. We bring decades of experience helping people with all degrees of hearing loss experience their world more clearly. However, the first step toward a solution for your hearing loss is a free hearing screening and a complete audiological exam at North Shore Hearing P.C. Our complete audiological evaluation will help us develop a fully-tailored plan to improve your hearing and communication skills.